Are you traveling within the next few months, potentially to see family for the holidays? If so, preparing for a trip and making sure you don’t forget anything important can be hectic. To help make the process easier, here’s my list of must-have travel items to take on your next trip. They will surely be more expensive to purchase while at the airport, so if you anticipate needing them, be sure to bring them in your bags! A dead phone is pretty useless but it can feel even worse when you’re traveling. You use your phone for pictures, directions, apps, even to store important information. This means you might use your phone more while traveling, which can drain your battery faster. To avoid having to look for a charging station throughout the day, put your phone in battery saving mode and carry a battery pack. Instead of plugging your charging cable into the wall or using a USB cord, you can use a portable and cordless battery pack to recharge your phone while you’re on the go. There’s nothing worse than going through the airport check-in process and realizing that you can’t find your passport. To avoid the embarrassing feeling of slowing down the line while everyone impatiently watches you search for your passport, get organized in advance instead. Do this by making copies of your passport and placing your physical copy in a wallet big enough to hold all your money and your passport. The best type of wallet for travel would be an RFID blocking passport wallet. A wallet equipped with RFID protection is going to help protect your personal information from getting into the hands of high-tech pickpockets who can scan your ID, credit card, and passport information without even touching your wallet. The good news is that you can find a good RFID wallet for no more than $10 – $15. If you’re going to be around water during your trip, it would be wise to invest in a dry sack bag. These bags are great for boating and water activities where you might want to bring your devices with you to capture memories. You can find a good-quality dry sack for around $10 – $12. You can never be too clean when you travel. It’s a prime time to collect and spread germs which is why it helps to have some disinfecting and cleansing wipes on hand. They are relatively cheap and can be very useful when you’re camping or around large crowds all day. Whenever we go to a warm destination like Florida or the Caribbean, I always make sure I pack my cooling towel. Cooling towels are usually made of polyvinyl and they come in handy when you’re exercising or experiencing very hot temperatures and need to cool off. You simply wet the towel to get it damp to activate it. There’s some cool science behind how it works, but all I can say is that it works wonders and can instantly cool your body down. It’s under $10 at most places and well worth it. Getting an adequate water intake can be difficult when traveling. This is why it’s always best to bring a non-disposable water bottle with you so you can fill it up throughout the day. I like collapsible water bottles because they’re easy to travel with and take up less space when packing. They’re portable, durable, and leakproof bottles that you can roll up when you’re not using. Collapsible water bottles are little pricier than regular water bottles, but you can get one for around $20 – $25. They’re well worth the investment for long-term use. Hotels offer basic toiletries but if you need something different, you’re out of luck. That is why I always recommend bringing your own toiletries and hygiene items. Travel-size skincare kits are great if you need SPF, sensitive skin, or other special products. You can find a basic kit for under $50, but some brands have more expensive ones. It’s better to be safe than sorry to have one. When I went overseas, I didn’t realize that my devices wouldn’t plug into outlets without an adapter. Granted I was in college and it was the first time I crossed the pond and didn’t know any better. But, a lot of people don’t know they need a travel adapter or just forget about it when preparing for their trip. To avoid going through the hassle of buying one in another country or at an over-priced store in the airport, consider buying yourself one ahead of time at a local store or ordering it online. You can get an international travel adapter that you can use in places like the UK, Europe, Australia, USA, and Asia for around $20. This isn’t a necessity, but it’s a cool thing to have if you’re taking a long flight or doing a ton of back-to-back traveling. I’ve always wondered how pilots and frequent business travelers don’t lose their minds hopping on and off planes each day. I learned some of them take anti Jet Lag Flight Drink Tablets for prevention and relief from travel fatigue, so that’s something you can consider as well. 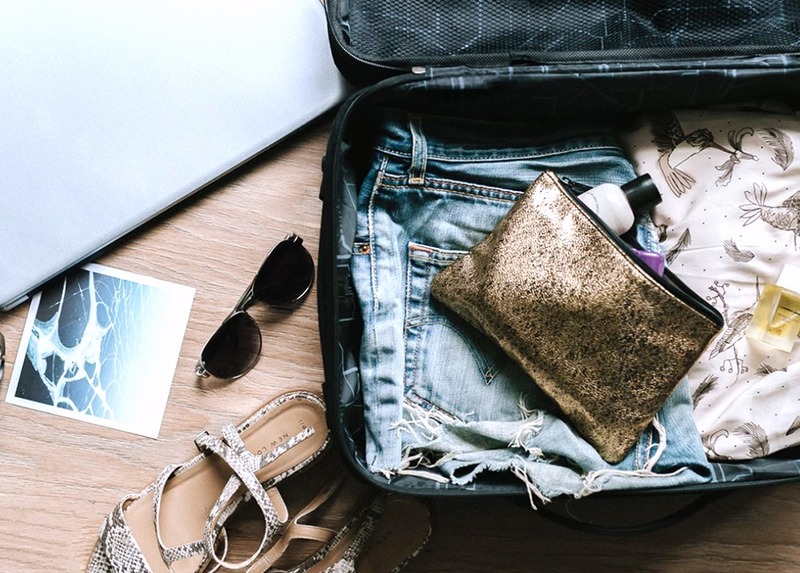 Ultimately, traveling is exciting for most people, but it can become a hassle if you don’t prepare and pack items that will provide convenience. Consider some of these must-have travel buys when you’re planning your next trip! CouponChief.com has been in the business of saving consumers money on purchases for over 10 years. Started in 2005, CouponChief shares coupons from nearly 65,000 different retailers. What’s more unique is CouponChief has a robust community of couponers who validate, rate, and share coupons. They are the only coupon site that pays consumers for submitting the coupons they find. This program, along with a coupon-finding staff of over 20 people, ensures that CouponChief.com is the most comprehensive resource for saving money you’ll find online.